There are times when there is simply no substitute for the traditional paper and pencil method of conducting business. This is certainly true for small business owners involved in the engineering and construction sectors. Graph paper is a reliable method of quickly sketching out important designs that can help facilitate meetings and client discussions. 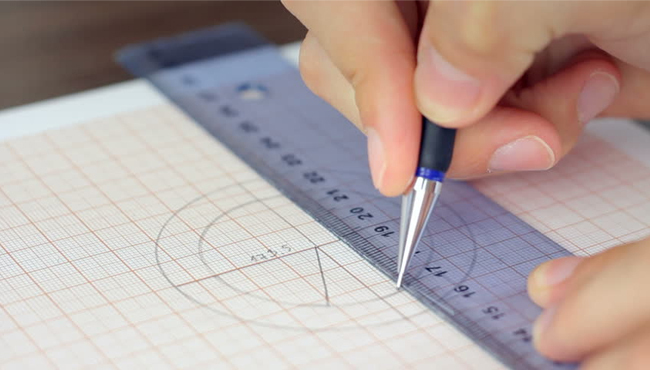 Consider the following ways that graph paper can assist you in your engineering and construction business. Today, graph paper pads come in a variety of colors to further enhance the clarity needed by technical trades. They not only serve to enhance the look of proposals that you give to clients, but they are an important source of visual business communication. Custom graph pads also provide you with great marketing potential, while allowing you to sketch and draw critical data with much more precision and ease. You can easily take these pads with you anywhere that you go, be it to an important client meeting or on site to conduct some last minute drawings. Grid paper pads are similar to graph paper, but all grid lines are shaded in the same light color. There is a range of colors available that can further personalize your own firm’s approach to the engineering or construction field. The added advantage is that your logo and contact information can easily be incorporated into the design of the paper without sacrificing drawing space. Some professionals require a bit more than graph or grid paper alone is able to provide. For these situations, isometric graph paper has been developed. These pads will have additional lines that are designed to be used for piping and other industry-specific applications. You can find these in either standard 8.5 X 11 inch pads, or legal size at 11 X 17. For those who need to conduct complex computations in the midst of their drawings, computation pads are a great option. This type of paper will have a black grid line printed on the back of each paper, but they will not show up when copied. This leaves the front of the paper for you to sketch to your heart’s content, leaving the back to conduct your computations. For those professionals that spend a lot of time out in the field, this type of pad is great. They have a solid backing that makes them more durable, and they are designed to stay together even when used within a portfolio. If you put your paper through a lot of heavy use, these pads will retain their integrity even when the pages are constantly flipped back and forth. To further your marketing potential, also consider incorporating custom graph pads into your operating structure. Whenever you leave plans or estimates with potential clients, they will retain your contact information. Others may see this as well, providing you with a low cost marketing campaign to boot.